The British High Commissioner to Cameroon, H.E. Rowan James Laxton, has discussed the importance of the role of the Ombudsman in the improvement of governance in the country. 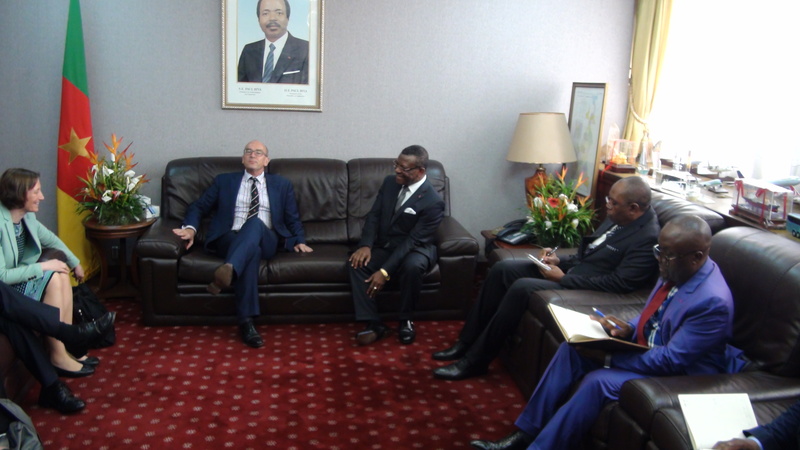 The British diplomat who led a delegation from the Westminister Foundation for Democracy held talks with with Prime Minister, Dion Ngute in the late afternoon on Wednesday, April 10th 2019 at the Star Building. As a prelude to the elections that are scheduled this year in Cameroon, the Foundation has thought it necessary to offer its expertise in that field for a successfull excercise. 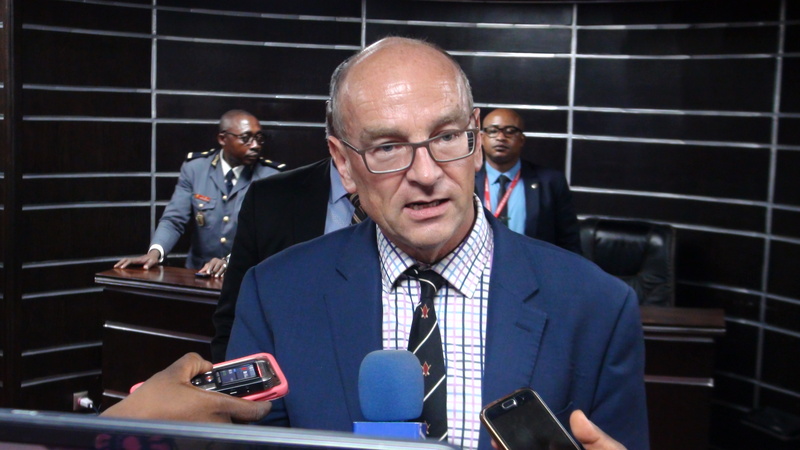 Speaking to the press at the end of the encounter with the Prime Minister, the British High Commissioner said he had led the delegation to the Star Building, because Head of State, HE Paul Biya, who has made good governance, a priority of his policy is very receptive to contributions which could support this process. 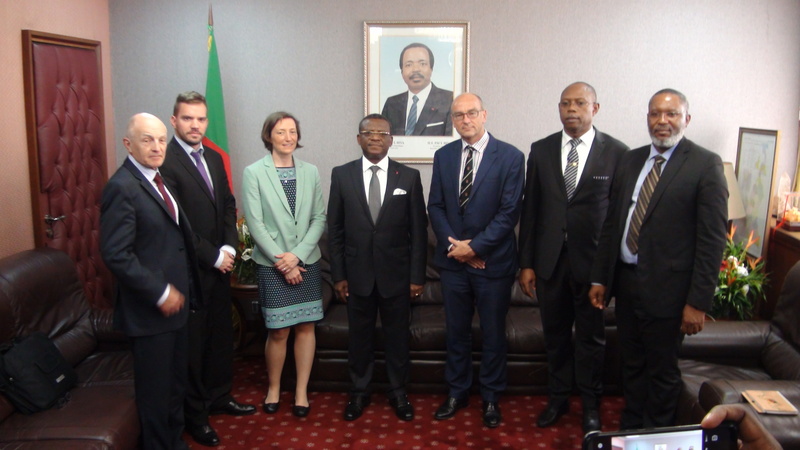 Cameroon, being in the process of decentralization, could benefit greatly from this expertise coming from quite experienced horizons in this area. 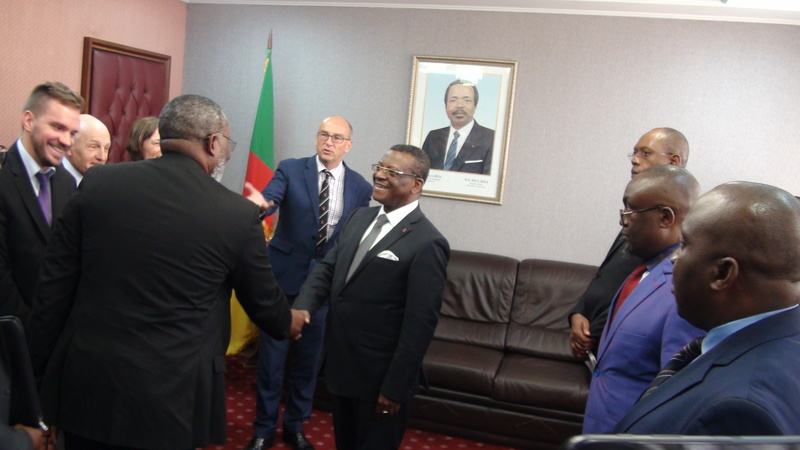 As such, he met with an attentive ear in the person of the Prime Minister, who reassured him and his delegation that any initiative to help perfect the democratic process in Cameroon would be welcome. The guest of the PM finally said that there are other good proposals in negotiation, and that it would be premature to reveal to the press at this precise moment before their completion. The delegation has met with the different different socio political stake holders and is committed to making government services more effective and accountable. The Westminster Foundation for Democracy is an institution that includes members of civil society, business people, members of political parties, lawyers and legal practitioners, academics who advocate for the promotion of democracy and democracy. good governance in the world. They provide local, regional and international services in mediation and the improvement of good governance in public services and other fields. The delegation was composed of nationals of Serbia, Scotland, Northern Ireland and Great Britain.